An important part of this Disney craft is the use of olive oil which helps make the paper more translucent. See how the right side of the coloring page is brighter than the left side? That’s because of the olive oil! We want it to be brighter so the colors can shine through more! The brighter the better, right?! I think so at least. And it’s not as messy as you might think. All you have to do is wipe off the excess olive oil and let it dry. BUT, I’ve made this really simple by including a free printable template with all those Mickey coloring pages downsized to fit the standard mason jar lids! You can find your favorite Mickey moments coloring pages across the internet, just be sure to reduce the size, so it will fit in the mason jar lid rings! Click down below to download and print off the six pre-made Mickey Mouse Suncatcher template to color! Coloring pages, down sized to fit mason jar lids OR my pre-sized Mickey and Friends coloring printable. 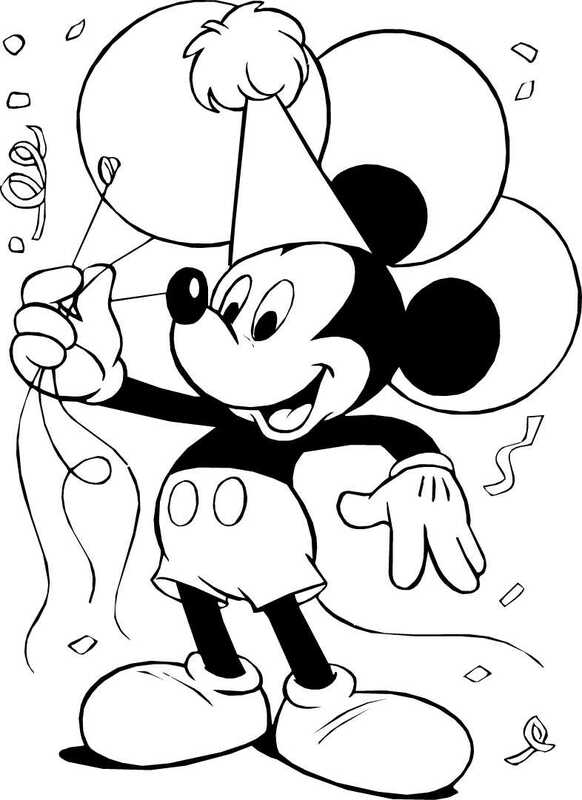 With the printable, begin to color in Mickey and his pals. Cut out your newly colored suncatcher designs. Add a little bit of olive oil to a cotton ball or cotton round, then apply that to each suncatcher design, making sure to apply over the entire circle. I would suggest having a paper towel underneath so the oil will not ruin any surface. The olive oil shouldn’t hurt the color, but I would test out a small area first just to be on the safe side. Wipe off excess olive oil with another cotton ball. Set aside and let dry. Once art is dry, grab a mason jar lid and turn it over to carefully add glue around the inner edge. Gently place artwork inside with the colored side facing outward. Wrap ribbon or twine around the outside of mason jar lid ring. I used hot glue to hold the ribbon in place on the lid ring. Once the the ribbon is wrapped all the way around the lid, you want to leave some extra length so you can hang it to any window. Oh Boy! you’ve just created a Mickey suncatcher, well done pal! You can hang your Mickey Mouse suncatchers to any windows and enjoy some Mickey Magic! This craft is wonderful to celebrate Mickey’s birthday, might I add 90 never looked so good 😉 BUT these suncatchers are perfect to hang year round. Just think of all the possibilities you can do for any Disney character. The options are practically endless! Pin the image below to Pinterest to share Mickey’s magic to other homes! This stained glass suncatcher is perfect for Mickey and Disney fans. Handmade crafts that doubles as a keepsakes are the best and this Mickey Mouse Stained Glass Suncatcher will be a conversation starter for years to come! See Ya Real Soon friend and follow me on social to stay connected and talk Mickey chatter with me! You can find me on Instagram and Pinterest. I’d love to see any Disney crafts you made or chat about any and all things Disney! These suncatchers are so cute. Thank you for sharing at Best of the Weekend. Happy Thanksgiving. Thank you Amy for your sweet words, I think they are super cute too! Happy Thanksgiving to you as well!